My philosophy is that you should live your life like a fish. Keep moving or die. Don't waste the hours away lying about, because life does keep moving, and it does not wait for slowpokes. 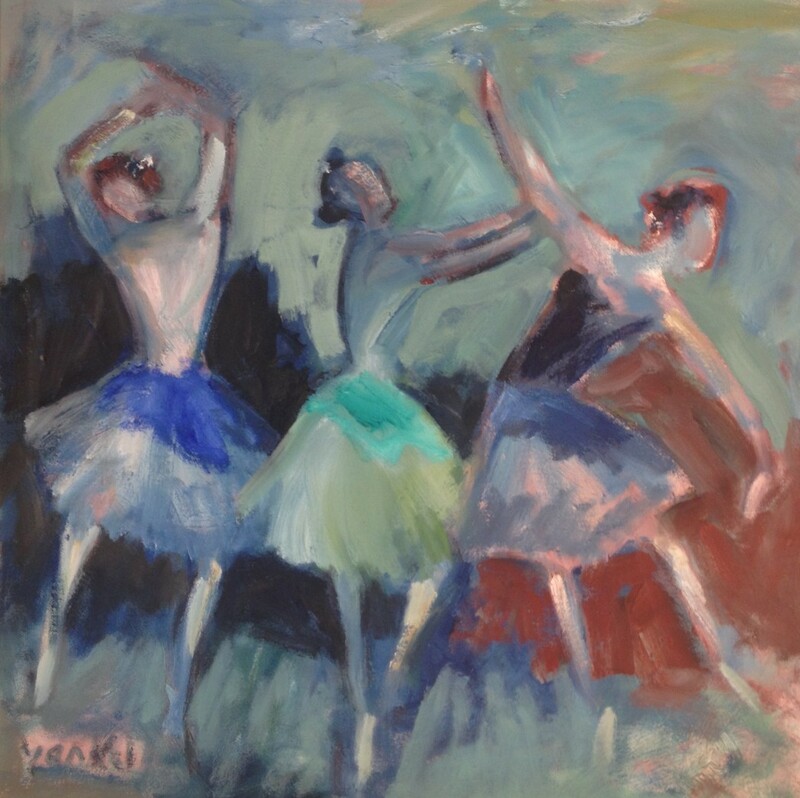 Even in moments of stillness there is movement, as can be seen in the work of Yankel Feather. The infamous Liverpudlian artist from the Beat generation was born at a time when being openly gay was frowned upon. Never bothering to hide in the closet, Feather was a prolific artist who made himself known in all parts of the country, whether it be his home town up north, Cornwall, where he later moved, or London, where he studied an exhibited. Feather art moved with the times. In the early days of his career, Feather was inspired by the rhythms and colourful movement of northern crowded dance halls, but after moving down south, his them changed to that of seascapes. Yankel Feather's collection of artwork is privately owned, but once a year, a small selection is put on exhibit at the GX Gallery in London. This year, you probably wont be surprised to hear that the theme is Life in Movement. There will be a preview night on the 16th January, and then it will open to the public until 13th February. Feather was an Expressionist painted influenced by artists such as Renoir, Degas, and Lowry after frequenting galleries and studying masters. In the exhibition you will be able to see his oil paintings such as National Hunt, Three Kosovan Dancers, and Party in the Park.